Thanks to code from Eth (check out his BuffList and Assembly window!) I have fixed the bug in the AH for anyone using this addon. Publish non-Debug version that actually shows up! Ok my problem is I uninstalled the tradepost.swf like you said. Now I get mail notifications but I can't open the ah now but if i put the tradepost back in I can open the ah but I can't access the mail part. Please help! Last edited by Dungeoness : 08-08-2012 at 11:06 PM. Hello. Love the add-on, thank you for creating it. I'm not seeing any place to type in numbers for the MinPrice and MaxPrice fields. The screenshot shows that you can enter a min/max value, but for me, I don't see them. When I click in the area where the fields should exist, nothing happens. I've tried /reloadui, logging in/out, as well as quitting/restarting, to no avail. Thanks for this addon, great job. Could be a toggle for those who prefer the default. That's on my list slate. I've been busy lately fretting about getting a job so coding's slowed down a bit. Bazaar's gonna get another sweep after I finish MoveAnything* and the Community PrecompiledClasses module. Last edited by Furiant : 08-07-2012 at 08:14 PM. Saw today you've implemented the colours as the rarities - brilliant! Makes the AH so easy to use. The total lack of pagination and so on is really ick. 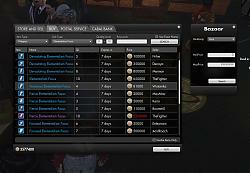 Fix is now rolled into Bazaar. Thanks for this, very useful so far. 1) It wasn't immediately apparent to me what the 'rarities' were. The most obvious thing I want to search for is blues or purples. I wasn't aware of the rarity types 'mundane', 'superior', 'enchanted' etc. 2) Is it possible to have some sort of 'clear all' button? If you're doing a few searches it would be useful. 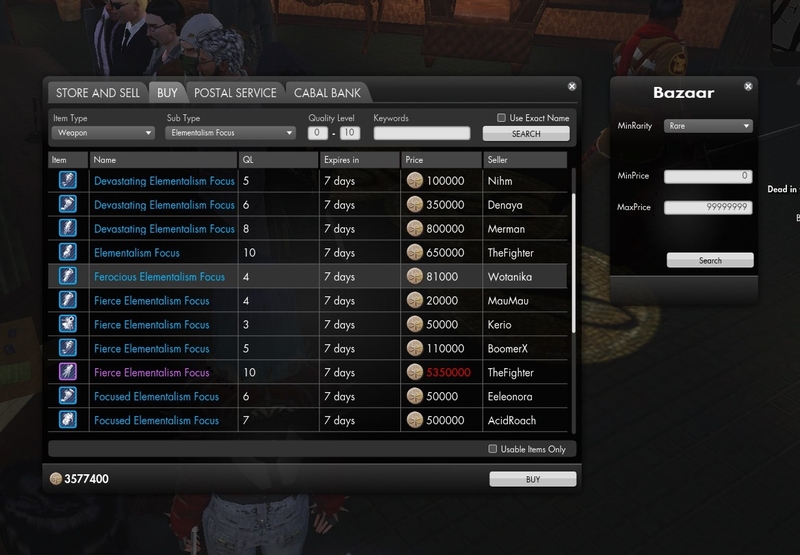 3) I know this isn't what you're working on at the moment, but the one thing I wish FC's market had was the ability to put your item in the selling 'crate' and immediately search to see what others were selling for, and then price it accordingly. It's just so fiddly at the moment isn't it?